HOW TO GET FRISKY ON THE BEACH (WITHOUT GETTING CAUGHT! ), YOUR HOME BAR PRIMER, WHIMSICAL FRENCH COOKING & MORE PLUS YOUR SUMMER BUCKET LIST! 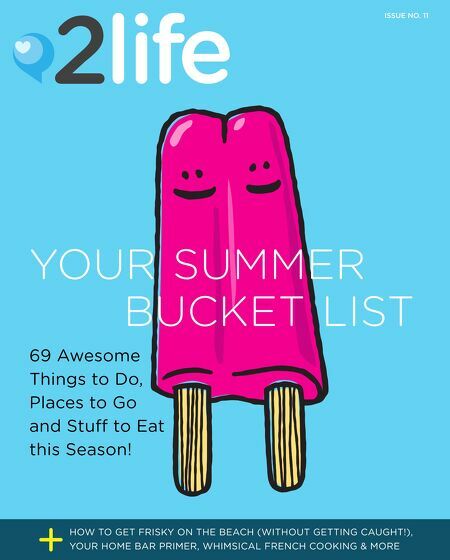 69 Awesome Things to Do, Places to Go and Stuff to Eat this Season!